It’s Friday. That fact alone is cause for celebration for most people. But when forecasts call for a beautiful and sunny Friday, in a season that has consisted of temperatures that have kept most people in doors, it would be no shock to learn if bosses all across the state woke up to early calls from employees suddenly too sick to come to work. The temperature hovers near 60 degrees, up from freezing temps only a week ago. Aside from being a little windy, the day is almost perfect. One can feel a shift in the air. Daylight is hanging around a little longer. I heard birds chirping in trees they hadn’t been gathered in for a while. A change of seasons is soon to begin. Phil seems to sense something is different, too. He was sitting by the door this afternoon and when I let him out he stood on the patio and lifted his face against the wind. He closed his eyes and sat still for a couple moments. I knew then that he wanted to be outside just to be outside. His waiting by the door wasn’t for his usual doggie business. No, he wanted to be outside to enjoy the gorgeous day because even animals know a beautiful day when they see one. Once he was inside the house, he lingered near the glass sliding door as though he wasn’t quite ready to let go of the beautiful day just yet. So I dropped his bed beside the door and watched him lay in it and plop his head against the cushion and watch the outside with an aura of peaceful contentment. As a doggie momma it was very satisfying to see my baby living such a pleasing moment and I reflected on the animals who will never live the kind of day my dog has realized today. Whether it be mother dogs crammed inside small cages in puppy mills where they are bred until they are dry, without any veterinary care. Or farm animals trapped inside dingy over-crowded factories who’ve never felt grass beneath their feet or felt the warmth of the sun against their skin. Animals love nature and need it as much as humans do because even animals know a good day. I spent a couple hours today at the the animal shelter I volunteer at. The unusually warm weather we’re experiencing for this time of year affords me extra time to take the doggies out into the yards. Like many people, dogs don’t really like the cold weather. Unless, the dog is a husky. If the dog is a husky then it relishes the cold and snow. We don’t have any huskies with us right now, so while this awesome weather is around I intend to take advantage of it and get my furry friends outside as much as I can. But I was a little more adamant today, than other days, about setting aside time for the shelter. Last Friday, my shelter took in fifteen dogs from animal control in Oklahoma because they were overflowing with dogs, as many animal controls unfortunately are. All of these dogs were on their last day, scheduled to be euthanized. While I was in the yard with one of the rescued dogs, Heather, a brown lab mix, I thought about all the poor babies that never make it out of the horrible places their trapped in. Being in rescue you hear a lot of stories, and their all terrible, but the horror of it all is more real, palpable, when you can hold a dog and understand why it is shaking, or look in a dog’s eyes and are aware why they’re petrified; because you know their story. Heather is a young, very scared dog because she was taken from a property that had over two hundred dogs and one large trough. The big, stronger dogs got all they wanted, leaving the weaker, smaller dogs to fight over scraps. Heather was shy and unsure when I took her out of her kennel, and she didn’t want to follow me right away. But when I gave her the time she needed and showed that I wasn’t going to force her, that she was in control, she slowly made her way toward me. Once we were in the yard, I let go of the leash and let her roam and smell wherever her nose led her. I sat down in the gravel, hoping she’d trust me enough to come near me. I saw her look my way a couple times as she explored the area along the fence. She was definitely curious about me. I left her alone, until, finally, curiosity got the best of her and she came over to me. I petted her gently on her back and sides, and that was all it took. Like most neglected dogs, Heather deeply craved attention and affection. She wasn’t interested in the toys in the yard or the treats in my pockets, all she wanted was love. Heather is going to be a super-loving dog for a very lucky person someday. That is, if that person is willing to give a shelter dog a chance. Shelter dogs aren’t broken. 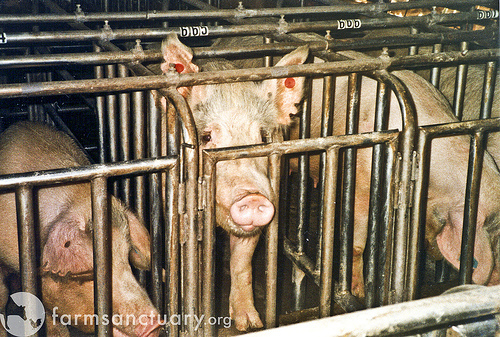 From what I’ve seen, they have survived some of the most cruel and gruesome living conditions I’d never want to imagine. That doesn’t sound very broken to me, in fact, it sounds pretty damn strong and resilient. I’m so glad Heather was able to escape what fate, it seemed, had in store for her. I wish every dog did. My shelter is a no-kill shelter. That fact means I don’t have to experience a very real side to rescue; killing dogs (oh, the irony in that). I feel for the people who have to administer that fatal, life-stealing shot to a completely healthy dog knowing the only reason the animal is seconds away from death is because someone couldn’t (or wouldn’t) take the poor baby in as their loving pet. According to OxfordPets.com , 3 to 4 million cats and dogs are euthanized by U.S shelters every year, yet only 18% of owned dogs were adopted from an animal shelter. What the heck is wrong with people? Why, when so many wonderful animals are being killed every day, year after year, would anyone buy a dog from a pet store, online, or even a breeder. Whenever I see “Puppies for Sale” signs, I take them down. If I’m driving, I pull over and yank them out of wherever their hanging while cursing under my breath how people should get real jobs instead of contributing to the animal overpopulation by charging thousands of dollars for puppies. Pet stores only take back the dogs they sell for a limited time, no refunds after a couple weeks. Shelters will take back one of their dogs any time in the dog’s lifetime. Because of this, we do get animals dropped off at our shelter that were bought from pet stores. 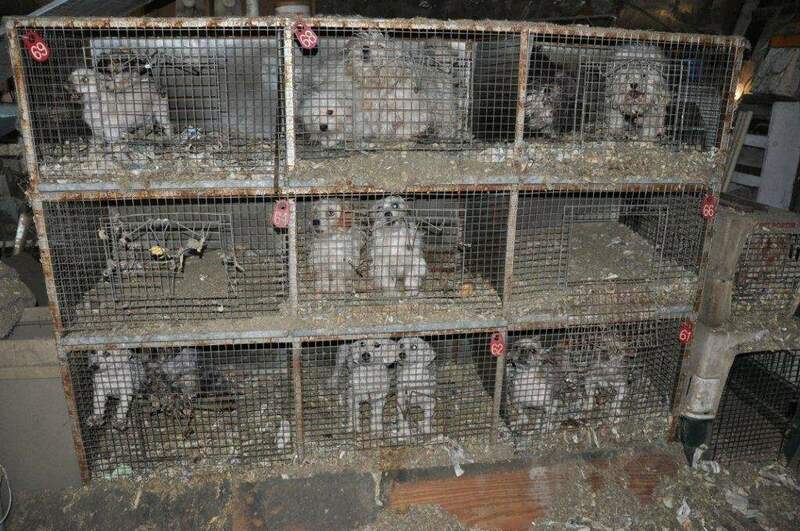 Some of these dogs are sick because most pet stores get their puppies from puppy mills, which are inhumane and the mother pups receive zero veterinary care. Apparently, a group of people can rent puppies and gush over them like idiots for an hour or two. Scratch their ears, kiss their noses, and hold them like a baby. My first thought when hearing about this was,”What happens when these cute little puppies aren’t cute little puppies anymore?” Puppies grow fast. To stay in business, there must be a high-turnaround rate. Which means, now dogs are being bred to produce puppies to keep adults amused. How pathetic and how sad. When these puppies are grown, they will most likely end up in an already over-crowded shelter, maybe even a high kill-shelter. So, if you ever attend one of these despicable parties, and you give a puppy a kiss, please ask yourself who will be kissing that puppy in a year, if that puppy will even still be alive. Puppies are not here for your entertainment. Strippers are here for your entertainment. *Note: If my writing about puppy parties made anyone reading this want to throw a puppy party, despite knowing that the puppies’ futures are precarious, (at best); you’re kind of a jerk. I hope the puppies poop all over your carpet, couch, and a couple of laps, too. Below are four of the fifteen dogs that were about to be put-down. They are in a good place now. Waiting for their forever homes. Heather is the brown lab mix with the big ears. 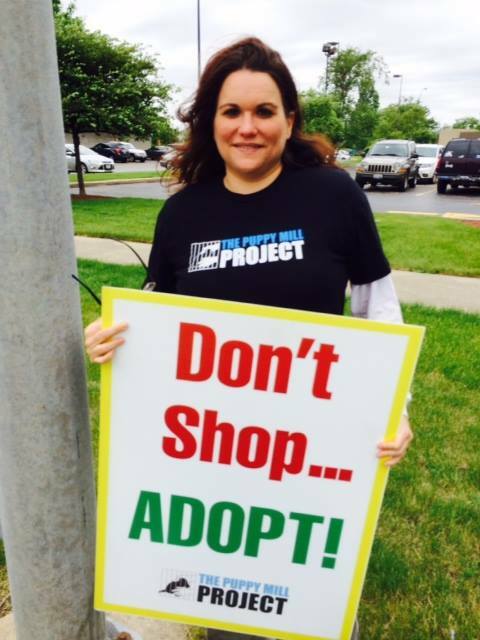 Please adopt and don’t shop! I talk about dogs…a lot. And I write about dogs…a lot. If you follow my blog at all, you probably already know this. It wasn’t my intention to use so much space penning about my favorite animal, but these things happen. I write about what I love. Ever since adopting my Lab/Pit mix, Phil, five years ago, I’ve gotten more involved with animals than I ever had before, or ever imagined myself to be. I volunteer at an animal shelter, spending as much extra time with the dogs, outside of my regular shift, as I can. 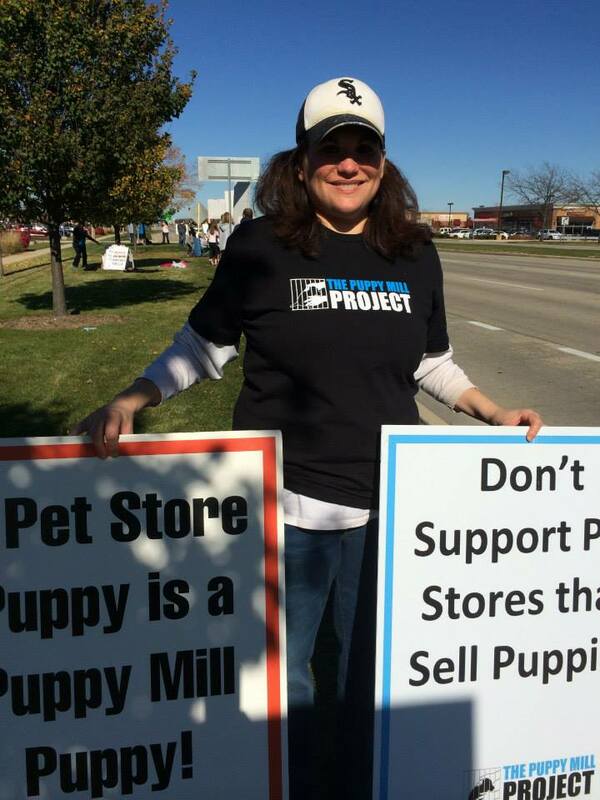 I protest regularly with an organization against pet stores selling puppies that come from puppy mills, which are most, if not all, pet stores. 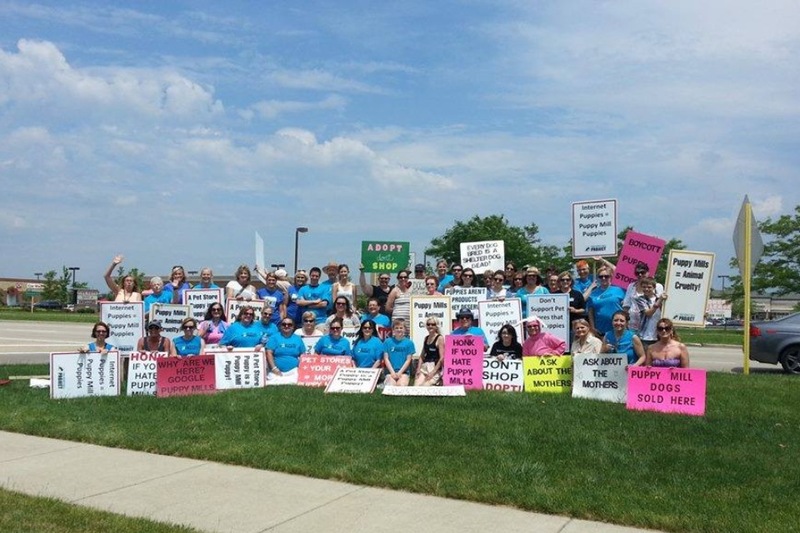 With this group, I have also sat in on town meetings to support a ban against the sale of puppy-mill puppies, and I’ve emailed numerous politicians pleading for such a ban. I’ve taken my stance. I’ve lent my voice to a cause I believe in. Whether it be through emails, signs in my hands, or by my mere presence, my voice has been spoken, but whether it’s been heard? I don’t know. I don’t state this to show how wonderful I am. I’m not wonderful. Trust me. I’m a terrifically-flawed person. A Deeply, terrifically-flawed person. I write this because I don’t know where all this fight came from. I didn’t grow up in a household of activists. Neither of my parents had staunch political beliefs. We just lived our lives in a quiet suburb, where the word “protest” was never uttered. But then, decades later, I adopted a pit-bull mix, and everything changed. Even though having a pet isn’t new to me, this time around it was different. Growing up we had a cherished family dog, a Lhaso Apso/Maltese mix named Coco, for over fifteen years. But I was a child when we got him, and barely a young adult when he died. None of the years between that time did I ever think about animal abuse. I had naively assumed that all dogs were as loved and doted on as Coco was. Maybe I was too young, or too capably self-absorbed to look beyond the walls built around my cozy little life to see the world. But I’m looking now, and I see the kinds of abuse animals suffer. Phil’s breed is the most abused and neglected breed of all dogs. The moment I fell in love with my pit-bull mix, I knew I had to fight for him. But I can’t only fight for pit-bulls. I need to fight for all the animals suffering because of human greed. 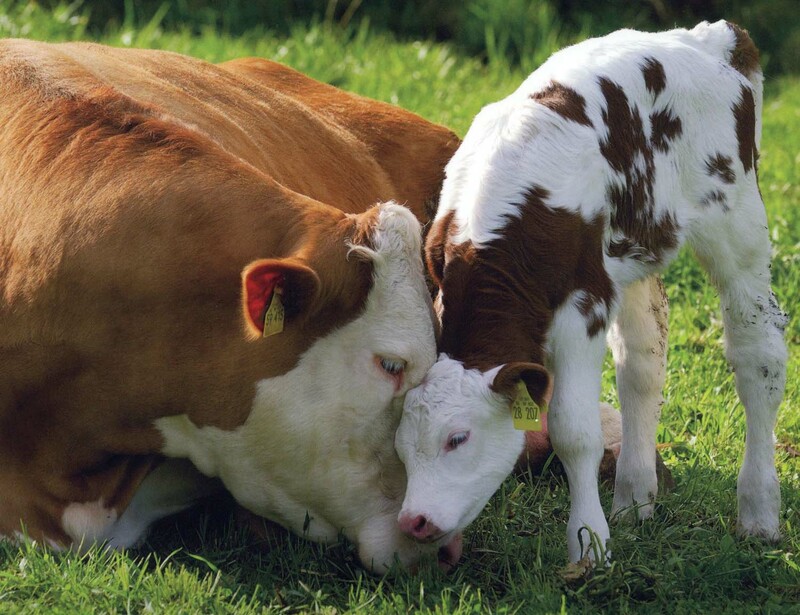 Whether it be dogs living their miserable lives in dirty, over-crowded puppy mills, or pigs crammed into gestation crates so small they can’t even turn around, or mother cows bellowing for their babies, taken from them seconds after birth, to either be killed for meat, or raised to suffer as a dairy cow. I need to fight for all animals being abused..
Last week, I participated in my first protest with Mercy for Animals. It was a protest against the way farm animals are forced to suffer. This isn’t me being wonderful. This me finally doing something. And it’s about time I did. Beautiful picture of love right here. *I don’t own these pictures. I will take them down if they are copyrighted. Save Two Lives. Adopt a Shelter Dog. When I adopted my dog, Phil, almost five years ago, I didn’t have a specific breed in mind during my search, (although I’ve always had an affinity for Labradors, all labs, Black, Chocolate, and Yellow). So, it was no surprise when I went scouring the Internet for shelter dogs, and my eyes fell upon a beautiful yellow lab mix, that I was instantly smitten and knew he was meant to be my baby. The fact that Phil’s other breed was pit-bull (please note, pit-bull is technically not a breed, but a broad generalization to include dogs like, American pit-bull terriers, American Staffordshire terriers, and Staffordshire bull terriers, and other terriers) didn’t even factor into my decision to truck down to the shelter and pick up my new bundle of joy. Phil being part pit-bull didn’t deter me from adopting him, but it also didn’t play a role in my choosing him, either. I wasn’t making a stance of any kind. It wasn’t a conscious decision to rescue him because of his breed. I wasn’t aware most pit-bulls never make it out of shelters alive. I was ignorant at the time of the very real, and very strong prejudice against pit-bulls. I didn’t know, the day I took Phil home with me, the powerful stigma attached to this wonderfully loving dog. According to a 2012 article by Save a Life Harbor Animal Shelter, in Los Angeles alone, two hundred pit-bulls are killed each day. ASPCA estimates that 3.9 million dogs (all breed of dogs) end up in U.S shelters every year, with only 35% of those getting adopted, and 31% being euthanized. Latest data from ANIMAL PEOPLE shows that pit-bulls make up 60% of dogs euthanized every year. Easily over a million adoptable pit-bulls are killed each year because of ignorance, prejudices, insurance refusal to cover pit-bulls, and discriminatory bans on the breed. This is a horrible shame. All that I didn’t know about the unfair treatment toward pit-bulls, before I adopted Phil, that I know now, has made me a huge advocate for pit-bulls. I fight for this breed because I have to. I wasn’t looking for this job, and I didn’t ask for it, but I’ve turned out to be pretty damn good at it. *On a side note, ASPCA estimates that 70-80 million dogs are pets in the United States. That’s beyond the amount that could give EVERY single shelter dog a home, as well as the millions of strays in other countries. So much money is spent caring for animals in shelters. If America would only open their homes to all the homeless dogs here, then shelters can spend their resources on flying abused and hungry strays in from other countries, because the numbers show we have enough homes for them, too. Please note, most pet stores get their puppies from puppy mills. 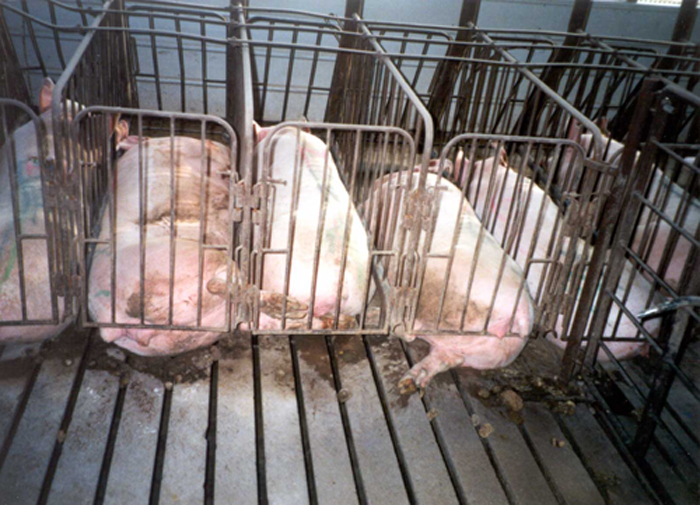 Please stop supporting these awful places. Adopt don’t shop. Thanks! 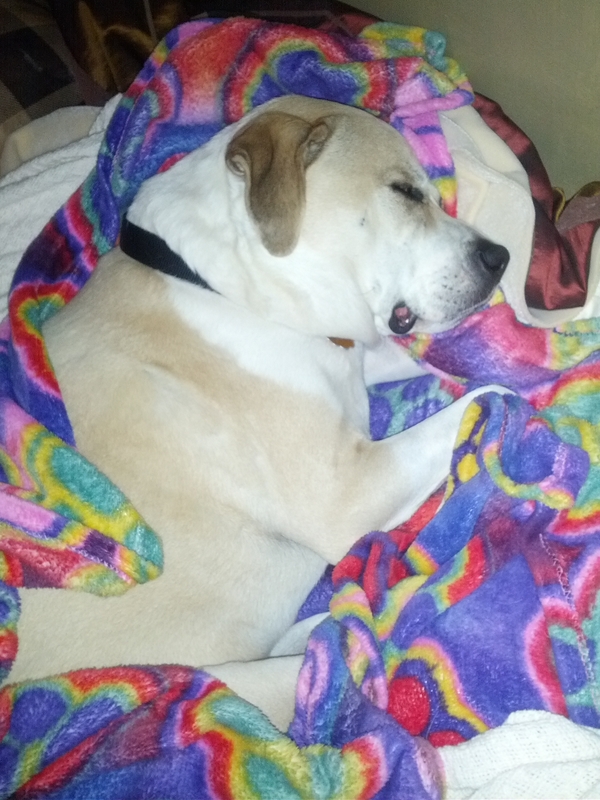 P.S – Here’s a pic of my scary pit bull mix…..Shhhh…don’t wake the baby. Author Alicia JosephPosted on October 15, 2015 January 23, 2016 Categories animals, Shelter DogsTags adopt don't shop, animal shelter, animals, don't bully my breed, euthanasia, pet stores, pit bulls, puppy mills, rescue, rescue dogs, shelter, shelter dogs3 Comments on Save Two Lives. Adopt a Shelter Dog.